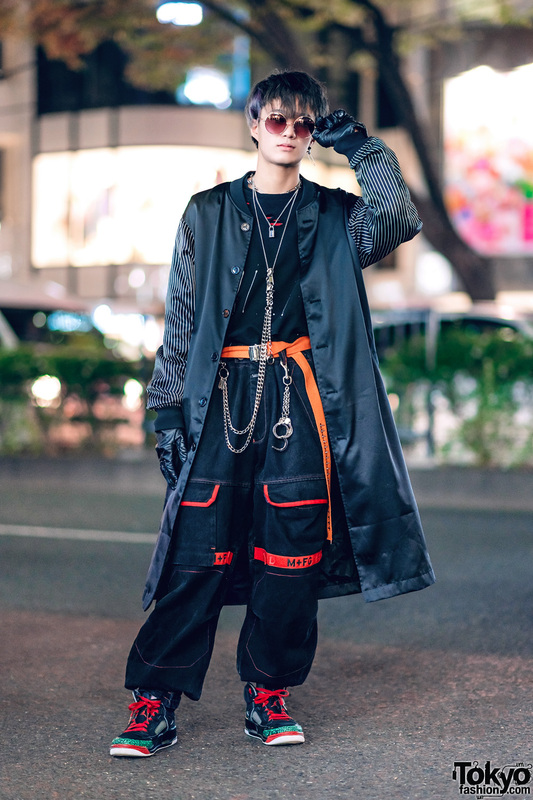 Harajuku guy sporting an orange streetwear style with remake jacket, track pants, black sneakers and accessories. 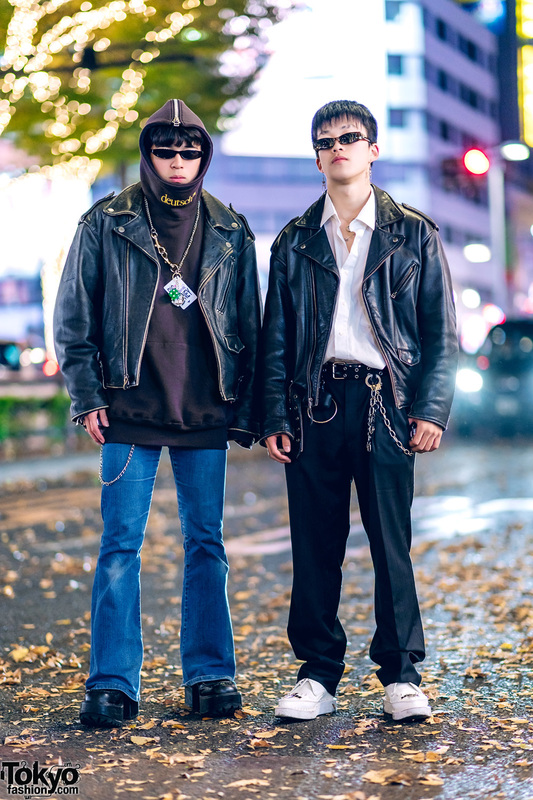 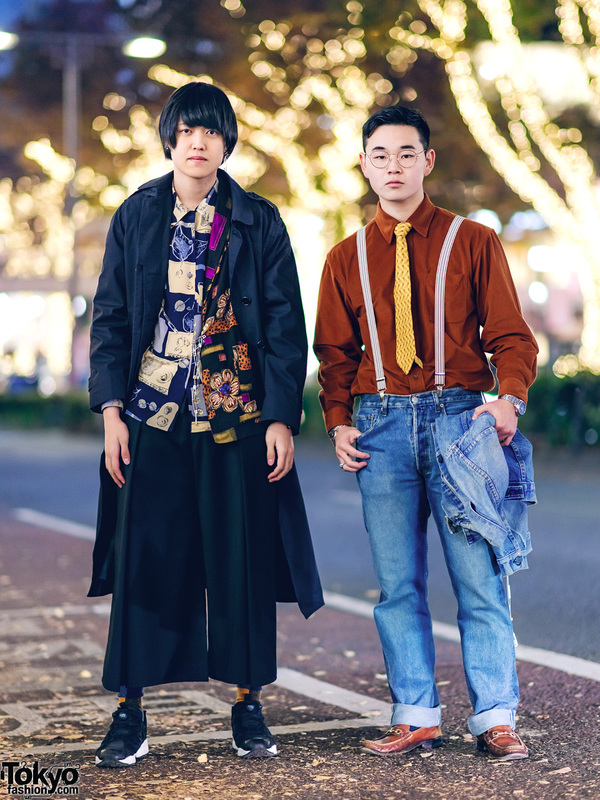 Japanese students in menswear street styles with leather motorcycle jacket while out on the Harajuku street. 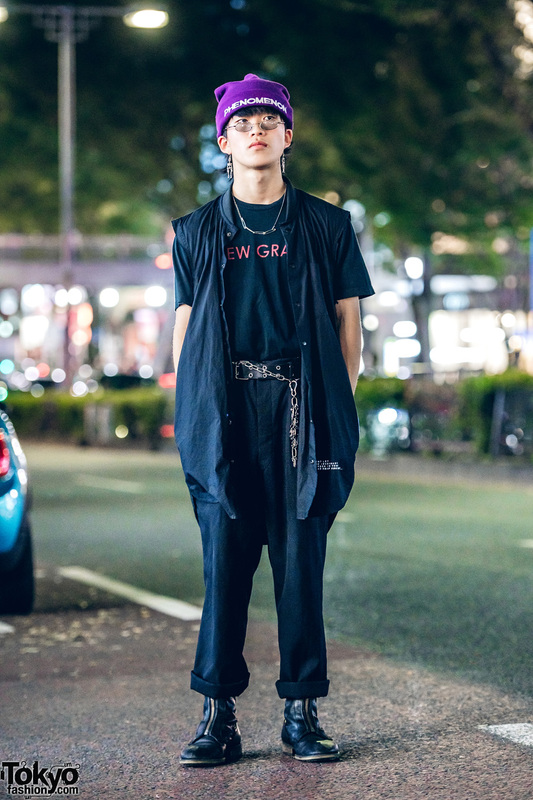 Japanese student sporting an all black ensemble with purple beanie while out and about on the Harajuku street. 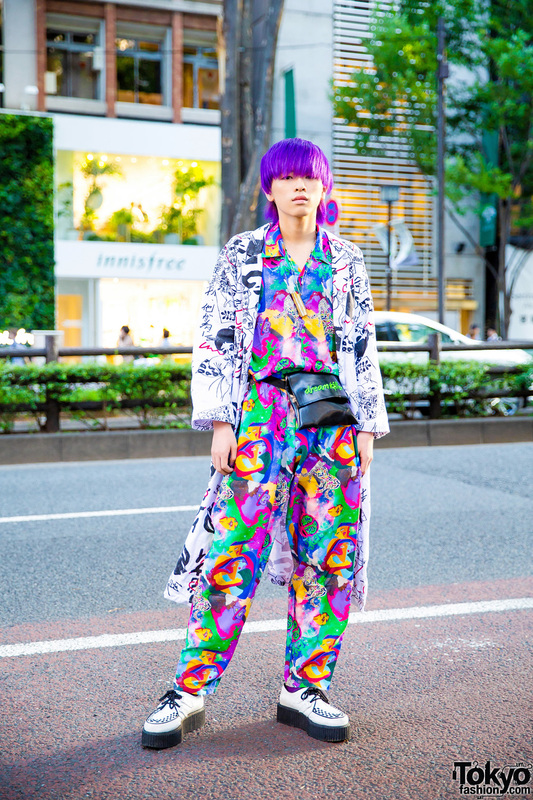 Purple-haired Harajuku guy in mixed prints, platform creepers, and Kobinai outfit. 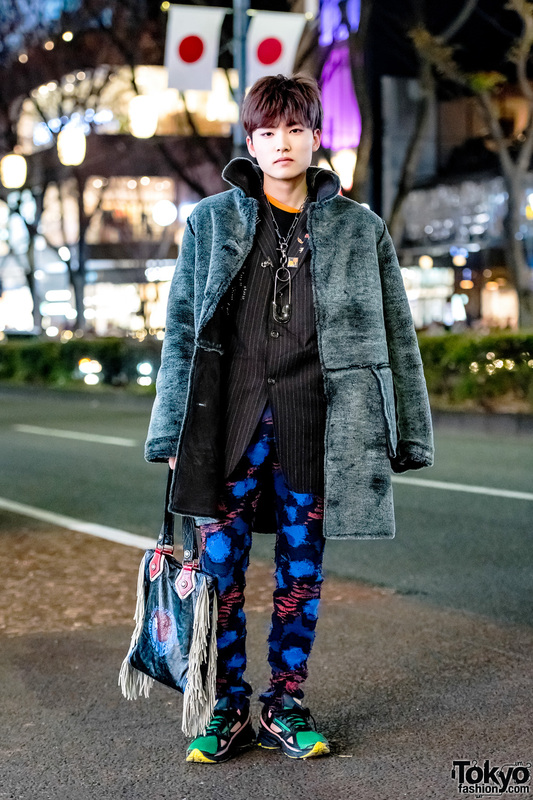 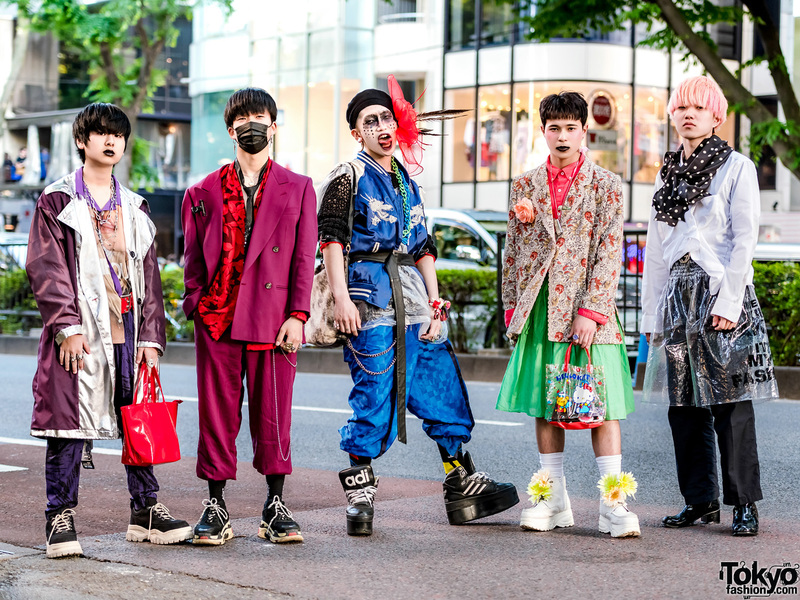 Bunka Fashion College student in vintage and handmade streetwear while out in Harajuku.